Finnish utility Helen Electricity Network relies on the innovative ABB Ability™ AIS for MV – UniGear switchgear solution to make their grid smarter and more reliable. Kalasatama is Finnish for fishing port. 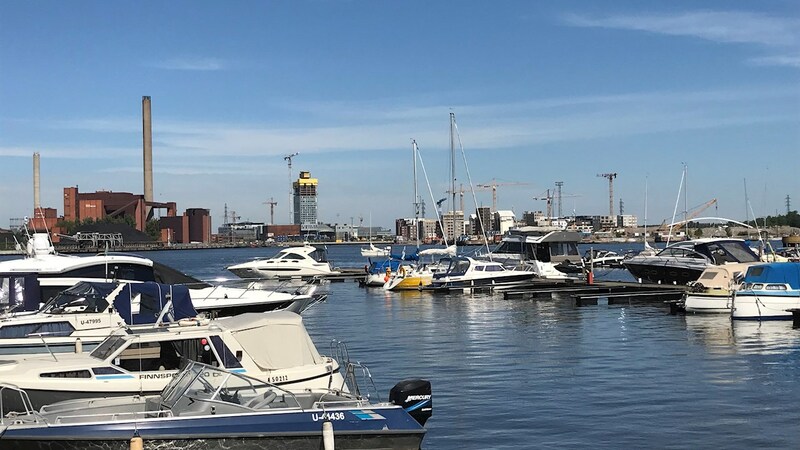 Today, however, this new district of Helsinki is not known for its harbor or seafood, but for a new standard in smart city and urban developments and construction. In this new area on the eastern shoreline of the Finnish capital, wide ranges of smart solutions are already available and more are on the way. ABB’s innovative medium-voltage switchgear solution, UniGear Digital, is the technology the local utility, Helen Electricity Network Ltd, has chosen to meet the high demands the smart city district is putting on electricity distribution. In this new district of the Finnish capital, fresh and innovative ideas and concepts are introduced and put to the test. The underlying idea is to design new services and solutions that will add comfort and make the daily lives of people living in the district run smoothly. Today residents use smart solutions from a high-tech waste management system, which allows residents to drop their waste into an underground pipeline, to digital tools that give them near real-time data on their power and water use to aid consumer choice. Other innovations include a smart container that serves as a self-service library and a smartphone booking system for residents to reserve the use of shared electric cars. In a smart city, the reliance on electricity is amplified and constantly increasing, and even short power cuts are more damaging. For Helen Electricity Network, the new area requires smart and reliable solutions for electricity distribution. At the center of Kalasatama, new automation solutions have been introduced for control of the closed medium-voltage ring network. The Suvilahti solar power plant is located in the area. When the volume of solar power increases, electricity production will vary according to the weather conditions. For the utility, this presents the need to maintain balance in the grid – and this requires intelligent distribution solutions. With the protection schemes as a part of the UniGear Digital solution, power failures can be completely avoided or the duration massively reduced. The large-scale smart city project of Kalasatama (translation: fishing port) started in 2009 and is going to continue into the 2030s. Once completed, Kalasatama will be home to about 20,000 people and a place of work for about 8,000. The travel time to the city center by subway is 6 minutes. The harbor itself was closed in 2008, however, for Helsinki citizens recreational fishing in Kalasatama is still permitted with a fishing license. ABB Ability™ is ABB’s unified, cross-industry, digital offering, which enables customers to increase productivity and lower costs. Visit us at CIGRE, which will be held on August 26-31 in Paris, France to learn more about ABB’s digital switchgear offering.